All RAS-D2 Radiator Packs comprise of a RA-FS 15mm bi-directional valve, matching lockshield and a RAS-D2 high performance liquid sensor and RLV-D lockshield valve. The valves have a ½” BSP (R½”) tail piece connection to the radiator and include 10mm and 15mm compression fittings to connect the valve to the pipe work. 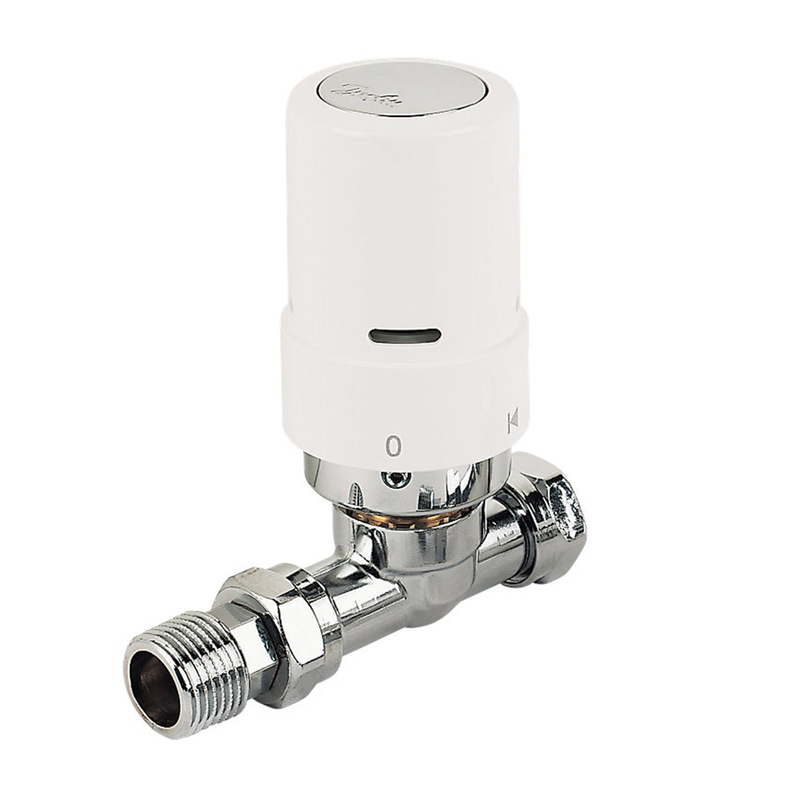 The valve bodies are reversible and bi-directional and include a flow-selectable feature to ensure trouble free installation without any risk of water hammer. In subtle white with chrome styling sensor. Includes RAS-D2 sensor, RA-FS 15 mm bi-directional straight valve, 10/15 mm fittings and Allen key for fixing sensor.